Aside from being “classic” and being sought after, the following books are considered as the best books in running that greatly influenced people from their sedentary life to being active through running. These books contributed in the resurgence of “running boom” in the United States and in other countries. Few minutes before the start of the 2nd PAU “P2P” 70K Run last Sunday, Paolo Osmena, a PAU member and BDM 102 veteran, gave me these three (3) “classic” running books which I consider as “collectors’ items” for seasoned runners. I was surprised and humbled by the generous gesture of Paolo of giving me these “treasures” among runners. Thank you very much, Paolo! 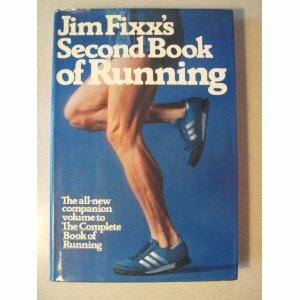 The Complete Book of Running by James Fixx was published in 1977 and it became as the best selling book for that year. I tried to look for this book in the 70s and 80s in the local bookstores but it was not available. While I was on schooling in Fort Benning, Georgia in the mid-80s and during my stay in Los Angeles after my schooling, I was not able to buy or look for this particular book, to include the other two books. There was no Amazon.com at that time yet. So, when Paolo gave me this book, it was my first time to actually hold and browse the pages of such book. The red color of the cover, the running legs of the author, the red running shorts, and the red ASICS racing shoes were properly conceived as a “marketing” ploy for the book and it was a success. Nowadays, you seldom see red running shorts, red ASICS racing shoes, and running without socks! 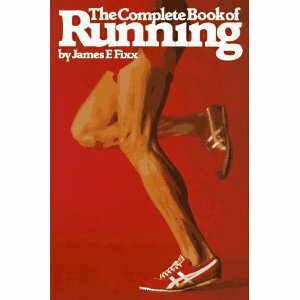 The Second Book of Running by the same author was published in 1980 but it did not create the same magnitude of popularity of the first book. It would be noted that the color of the cover page was in blue—blue running shorts, blue Adidas running shoes, running without socks, and the same running legs of the author. Four years after this book was published, the author died due to heart attack after completing his daily running workout. He was 52 years old. 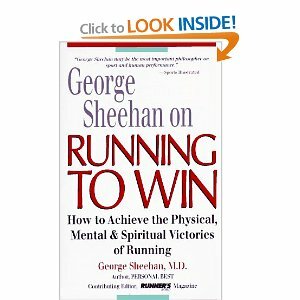 Dr George Sheehan is considered as the modern day “philosopher of running”. He was a cardiologist in profession but became popular due to his writings about running with an essay he wrote every week in local newspapers and later with the Runner’s World Magazine. He died at the age of 75 due to prostate cancer. This particular book was the second to the last book that was published before he died in 1993. This book is a compilation of the essays he wrote and published in his column/page with the Runner’s World Magazine. On a personal note, Paolo is sending me a “message” by giving these most treasured books about running. He is telling me to write and publish also a book about my entries in this blog which had been my plan for the past years. It is a dream to write a book as a compilation of all the entries of this blog and it is a matter of organizing them from one general topic to another. I know that this dream will become a reality.